I would have loved to have seen Asuka vs. Emma here, but I feel like that will be a more competitive match. 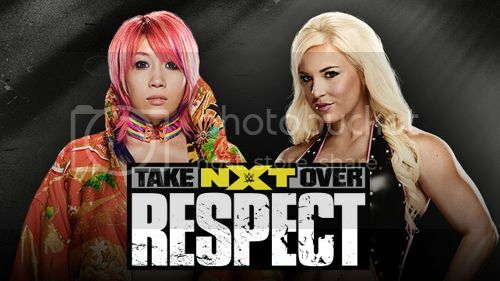 I'm not saying that Asuka will squash Dana Brooke, but this should work as a bit of a showcase for Asuka. From the rumblings that we've recently heard, they want to do Asuka/Bayley down the line, which could certainly be interesting. I see Asuka winning here and moving onto better programs. I hope she also gets a match with Eva Marie at some point so she can just annihilate her. Poor Tyler Breeze. He is the biggest victim of NXT bringing in the top indy talent in the world. A little over a year ago, he looked like a future NXT Champion. Since then he has fallen further down the card in NXT and has just one win on a TakeOver special. That doesn't look like it will change here. Apollo Crews has the look and ability of someone who may just be the next big thing. 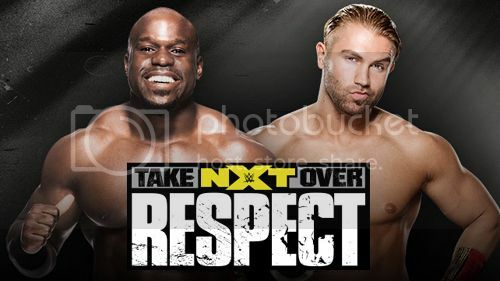 Part of me can see Tyler winning through nefarious terms to give Crews a loss to a legit opponent while keeping him strong, but the other, bigger feeling thinks that Crews is getting the W.
The booking of the Dusty Rhodes Tag Team Classic has been odd. Why is this heel vs. heel? Baron Corbin and Rhyno have worked surprisingly well as a tag team and I wouldn't mind if they stayed as a team while Corbin continued to grow as a performer. That being said, this needs to be Chad Gable and Jason Jordan's night. They are consistently entertaining and a tag team that should head the division for a long time coming. Do the right thing and go with Gable and Jordan. I'm pleasantly surprised to see the Mechanics getting shine as they are a good team. I'd have preferred Corbin and Rhyno losing to Finn and Joe, while Gable and Jordan went over Enzo and Cass or something though. This should be a solid match as the face team never fails to deliver and the Mechanics will be looking to prove themselves. Finn and Joe should win here as I can't see them losing to the Mechanics. The Mechanics will save face since they lost to two top guys and they've beaten the Tag Team Champions, so they should get a future shot. Finn Balor and Samoa Joe vs. Jason Jordan and Chad Gable. That is the finals that I wanted the second I found out the teams in the tournament. With the news that Cody Rhodes and Goldust will be presenting the winners with the trophy, I could see Finn and Joe winning to have the faces accept in a nice moment. However, I can't go against Gable and Jordan, especially given the tension that has been teased by Finn and Joe lately. I feel like they will have some sort of miscommunication that will lead to a win for Gable and Jordan. It'll be a huge rub for them and should lead to Balor/Joe at TakeOver: London. My biggest issue with NXT callups is that a lot of them happen while the person in NXT is still wrapping up a program. That made Bayley's win rather obvious at TakeOver: Brooklyn. Granted, the match was incredible but it's a similar situation here. With Sasha Banks on the main roster, I cannot see her win here. The same went for Balor/Owens recently. Anyway, do I think this match can best the Brooklyn one? No. But I don't think that's the point. We are witnessing history here. Not only are two women being given 30 minutes to tell a story, but they are main eventing a major event. They absolutely deserve it too. The Ironman stipulation is certainly a tricky one to get right as most of these matches are hit or miss. I have confidence that these girls will hit and it should be another great performance from both. Bayley retains to cement her as THE woman left in NXT.